It is common for professors to assign topics for literature review papers. Literature reviews generally accompany or precede the writing of a dissertation and sometimes the professor just wants to assign a review just for the sake of doing one. If you have been asked to write a review of the literature of your dissertation, research, or essay topic or another assigned topic, you can rest assured it isn’t quite as difficult as it might seem. As long as you take a methodical approach to writing your review, you will be able to produce something of which to be proud. Before you learn how to write a lit review, you need to know what a literature review is because having a solid understanding of what you are writing is important. There are different reasons to write a review of literature. A dissertation literature review is your opinion and criticism on previously published information on a specific topic. In terms of dissertation writing, this is your summary of the sources you have used in your research. But you might also be asked to write a step by step literature review that is not connected to a research project or dissertation. The purpose of literature review will depend on what has been assigned, but regardless of the purpose, you will be explaining the importance of literature in a specific area of research or on specific subject matter. Writing a lit review is required when it comes to writing a dissertation. It demonstrates your credibility in the field of study. As a writer, you can create a review in several ways. A lit review can give new interpretations or be a presentation of both old and new viewpoints. It can offer an evaluation of the information and give readers advice as to what sources to use. Now that you have a solid idea of what a literature review is, you are probably chomping at the bit to write one. However, there are some things you need to understand and do before you can get started. What precise research question, problem, or thesis is the focus on the review? What type of review will you be writing (i.e. chronological, methodical, etc.)? What discipline is your focus? What types of literature or publications will you be using in your review? Have you conducted a wide enough field of research to get a good representation of the available literature without including literature that is not relevant? Have you conducted a sufficient critical analysis of the literature, rather than a simple summary? Have you included insight and criticism of literature that goes against your opinion or perspective? Is your review relevant and useful to your field and will the reader find it informative? Choose a topic specific enough to allow for quality investigation. Think about what is considered literature, whether that is academic or journal articles, books, or other forms of written material. Literature note taking is a must. Read and take detailed notes from each piece of literature you choose. Group literature into categories to make it easier to track. Write down detailed data on sources as you conduct your review. Ask yourself questions about the author’s intent for each source you read, including whether the author addressed or came up with a problem and whether that problem was clearly defined. Also ask yourself about the direction of the author’s research and theoretical framework and how the two are related. The U.S. National Institutes of Health and the University of Toronto each offer a great description of writing a review of literature. Once you have done your review of the literature, you have to know how to format your written review. What does a literature review look like? It is extremely important to begin your review with a thorough literature review outline. The way you format literature review depends fully on your choice of review type. The best way to arrange literature review format is to choose one or several ideas and specify which of the sources describe these ideas best. In order to do a good job, narrow your research down. You will need to group different writers’ various opinions together and compare and contrast those opinions. An Introduction. It has to be short and clear. Tell the reader about the main topics and arguments. Main Body. Here, arguments have to be backed by evidence—facts and opinions. Give preference to facts. A Conclusion. It is here that you should explain what parts of your review best express your arguments and opinions and best contribute to the overall understanding and progress of your area of research. If you need additional guidance, you can check out the helpful information found through the University of Wisconsin, Madison and the University of Guelph. You can also find a great literature review template at Thompson Rivers University. You can’t avoid it any longer. You have to start writing your review, so keep reading to learn how to do just that. When you write the review of your literature, you need to have a solid understanding of each part of the review. Let’s go over each in detail. Present a brief definition of your topic, which will depend on the type of review you are writing, and highlight any questions or problems you will be addressing. Present the range of literature under review, indicating important points, such as specific trends, conflicts in the area of research, gaps in the research, or a new approach. State any literature that was intentionally excluded from your review and why. Provide a summary of your findings, including your reasoning for including the literature you chose in your review. Provide information on how readily available sources were in your field or subject area. Write according to the type of review (chronological, methodological, thematic, etc.) you have chosen. Provide a critical analysis of each source, including information on the argument, methodology, and concluding statement from each source. Ensure all inconsistencies, mistakes, and omissions of each source are included in the analysis. Provide a connection between the sources to ensure the reader understands how each is related to the others and how they tie into your overall area of study or research. Be objective. Has the author given enough information on the topic he has researched? Is there any prejudice? Be critical. Research the design and methodological issues proposed by the author. Give credit to those authors that were persuasive. Give an evaluation. Are the arguments and conclusions the author presents adequately convincing? Does the author’s work contribute significantly to the overall understanding of the subject matter? A summary of the primary findings of your review. A short description of the most important common points between the various sources and your research area, if it is relevant. A justification of your research proposal, if you are making one. In addition to this, you should provide in-text citations and a reference list in the appropriate style at the end of your review. Check out these articles for information on how to provide citations in APA, MLA, Chicago, and Harvard styles. Don’t overdo the introduction. Write short and informative sentences that inform your reader without overwhelming them. Divide sources into categories: those that support your point of view and those that don’t. Be sure to edit your literature review, ensuring you have provided good answers to the questions posed and adequate supporting evidence. The way you write a review is the same way you present your primary work. When writing a literature review Purdue Owl has some great resources for social work students and a literature review sample that shows all students how to include a review of related literature within a paper. The University of West Florida also has a great example of a literature review. A well-written review of literature will be worth every bit of effort it took to write it because it will provide a quick but thorough overview of the literature you used presented in a way that will make your professor very pleased with your work. However, if you are still having trouble writing your review, then consider watching the following videos. By following the tips and helpful links provided above, you are well on your way to writing a great literature review, but if you need more help, you can place an order with our custom writing service. Either way, you will end up with a killer review! 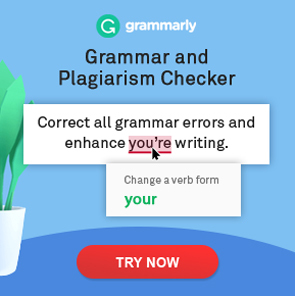 10 Easy Steps to More Persuasive Essays [With Great Examples]	How to Increase Your IQ: Be the Smartest Version of Yourself! Thanks! This post is going to help me greatly with literature review writing as it contains lots of sound guidances and tips. Thank you! Thank you! Thank you! Definition, guidelines, tips for literature review writing are perfect! These concise but the most important tips helped with my own literature review! God bless you!